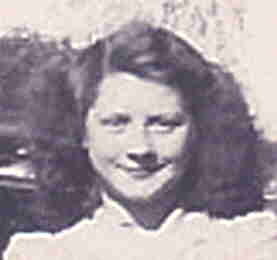 ARTIST AND EXPERT LOIS GIBSON. 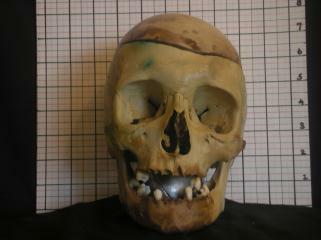 BELOW - ANTERIOR PHOTOGRAPH VIEW OF UNIDENTIFIED SKULL DISCOVERED WITHIN MARY JANE REED'S COFFIN DURING HER 2005 EXHUMING. 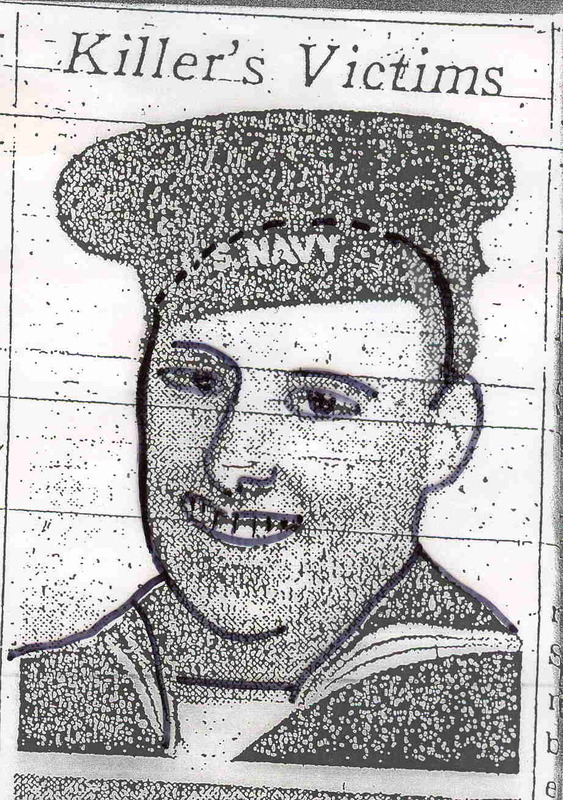 BELOW - SAME PHTOGRAPH OF STANLEY SKRIDLA AS PUBLISHED BY THE LOCAL PRESS IN 1948. 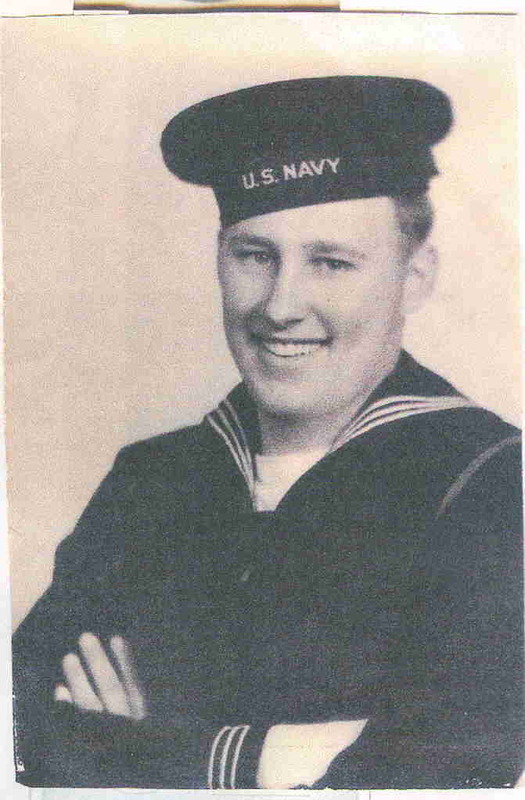 BELOW - 1948 NAVY PHOTO OF STANLEY SKRIDLA WITH FACIAL OUTLINE IMAGE APPLIED. 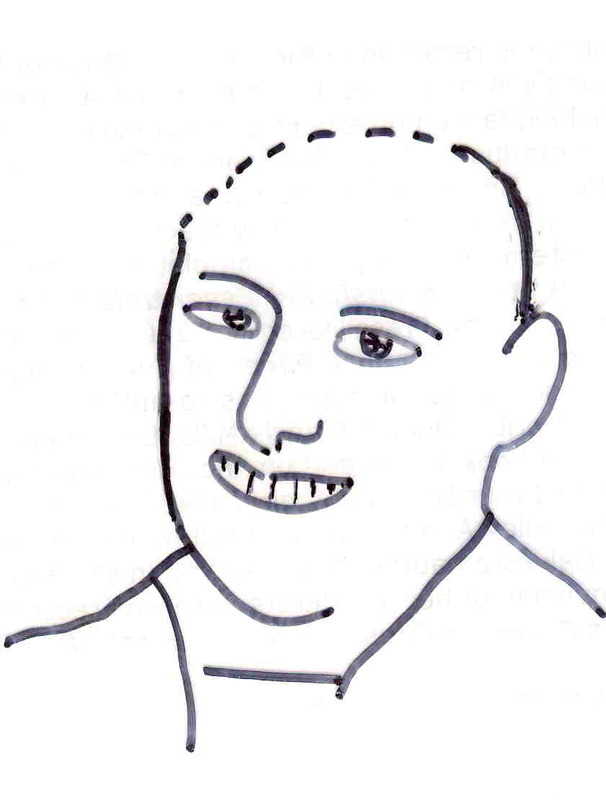 BELOW - STAND ALONE FACIAL OUTLINE IMAGE TAKEN FROM STANLEY SKRIDLA'S 1948 NAVY PRESS PHOTO. 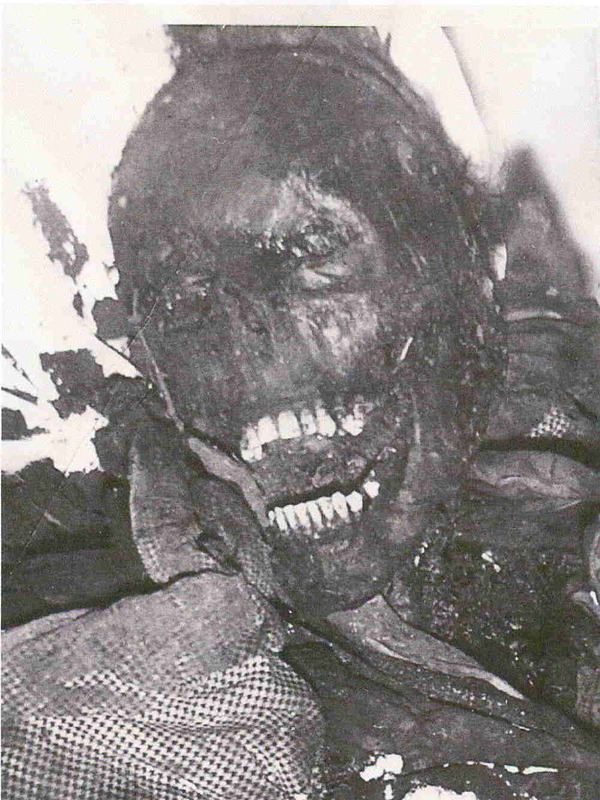 BELOW LEFT - PHOTO OF CHARRED MALE SKULL, CROPPED AND ENLARGED FROM THE FULL BODY PHOTO (AS SEEN AT THE REED / SKRIDLA CRIME SCENE PHOTO LINK), WHICH WAS ACCOMPANIED BY THE PUBLISHED 1948 PHOTO OF MARY JANE REED'S BODY. 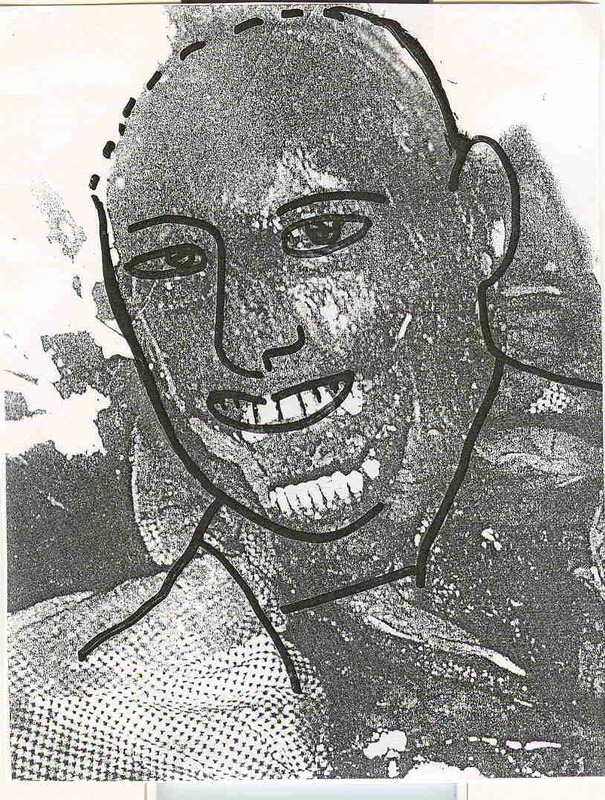 BELOW RIGHT - FACIAL IMAGE OUTLINE OVERLAY OF STANLEY SKRIDLA TAKEN FROM HIS PUBLISHED NAVY PHTOGRAPH, PROPORTIONED TO SIZE, AND APPLIED OVER THE PHOTO OF THE CHARRED MALE MALE VICTIM'S PHOTO, ACCOMPANIED BY THE PUBLISHED REED PHOTO. *NOTE THE PRECISE ALIGNMENT OF THE VICTIM'S UPPER TEETH, LEFT EAR AND LEFT EYE. .FOUR BULLET WOUNDS TO THE LOWER GROIN. .ONE BULLET WOUND TO THE UPPER LEFT CHEST. 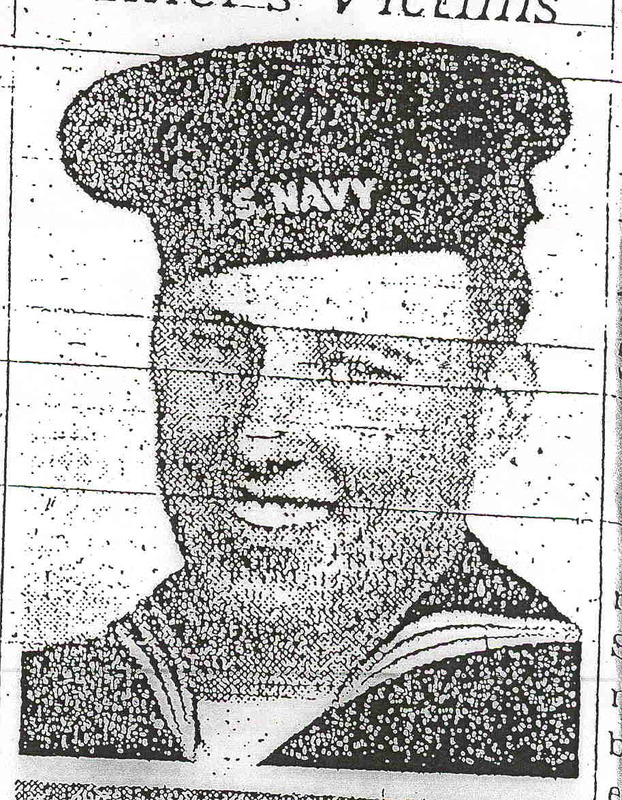 .A U.S. NAVY WWII VINTAGE RING ON THE VICTIM'S LEFT RING FINGER. .AN ACCELERANT APPLIED SOLELY TO THE VICTIM'S HEAD AND NECK WAS IGNITED. Lois Gibson is recorded in the Guinness Book of World Records as The World's Most Successful Forensic Artist. 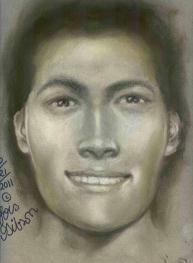 Her sketches have helped law enforcement bring in over 1,258 criminals. She is a graduate of the University of Texas at Austin with a Bachelor of Fine Arts, with honors, and the FBI Academy Forensic Artist Course. She now teaches this profession at Northwestern University. She completed the textbook for her profession titled, Forensic Art Essentials, released by Elsevier Academic Press December 2007. Her recently published true-crime book, Faces of Evil, which, profiles some of her most fascinating cases, was co-authored with renowned writer Deanie Francis Mills. Both books are available in book stores and on line. Her recent sketch of an unidentified murdered baby girl called "Baby Grace" prompted Riley Ann Sawyers' Grandmother to identify her for the Galveston authorities, resulting in the apprehension and conviction of her murderers. She was recently filmed by Tru TV's Forensic Files and A & E's First 48.